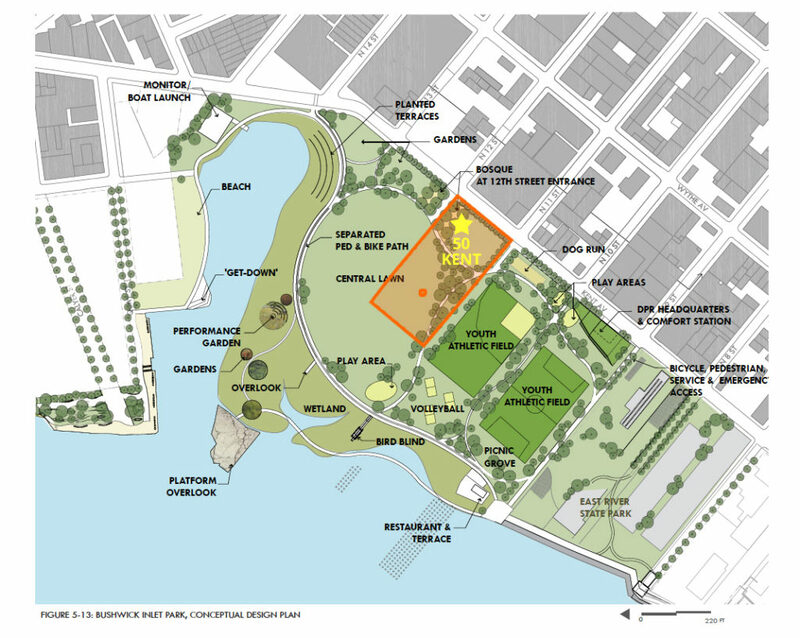 The next section of Bushwick Inlet Park is moving forward with development into usable park space! Have your say in its use and design at the Public Visioning Session being held by NYC Parks & Recreation. Come share your ideas! We have waited so long. Want to learn more? Can’t make the meeting? Contact and send suggestions to BKspecialevents@parks.nyc.gov or call 718-965-8907. 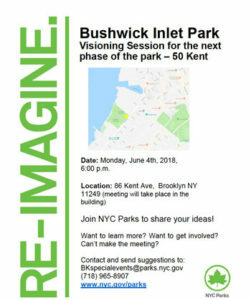 This your opportunity to imagine & voice what this next important phase of Bushwick Inlet Park will be. Knock yourself out with creative, unique park design ideas. 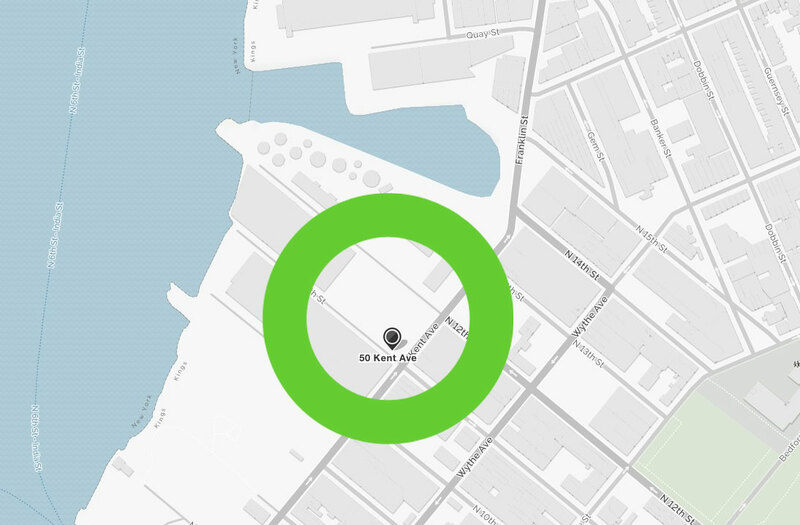 The development of 50 Kent is the first step towards creating magnificent passive green space at Bushwick Inlet. Bushwick Inlet Park should be a world-class park, reflecting a 21st-century, resilient design for the entire City. Bushwick Inlet Park should adhere to an updated, cohesive master plan for the entire 27 acres rather than a series of piecemeal, stand-alone designs. The 2007 master plan should remain the overall guide for the allocation of active and passive uses within the Park that will evolve through the scoping process. Design for Excellence! Bushwick Inlet Park should be the City’s next premier waterfront park. The opportunity here should not be squandered. Design for the Community! Community involvement makes for the best design. Consider community diversity, that parks are community spaces, and encourage connectivity. Design for Resiliency! Resiliency matters – we must design for sea level rise and storm surges.